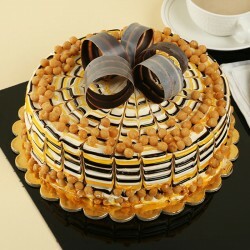 We take great pride in delivering best and delicious cakes for all occasions. 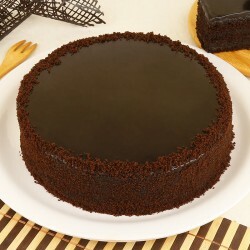 At MyFlowerTree, you will find all varieties of flavours to suit the taste buds of your loved ones. Choose from standard, same day and midnight delivery. How often do you buy Cake Online? 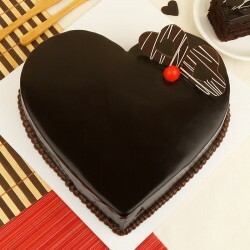 A cake is one thing that somehow brings this sense of completion to any occasion, celebration, or special day. 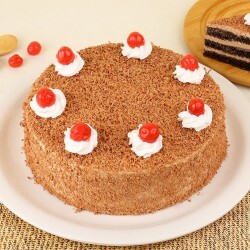 Whenever you gift someone a delicious cake, it can bring a smile to their face. 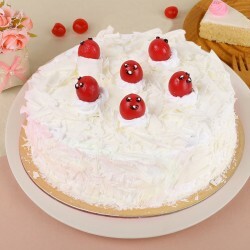 These days, you can find cakes in varied designs and flavors; a fact that makes even shopping for the cake an interesting and fun prospect. These days, you get to fixate on some of the most beautiful cakes that look so glamorous and delicious that you cannot help but order one. With the delicious options available, ordering just one cake would be a quite a task; they're just that beautifully delicious! The amazing flavors and the perfect timing of delivery is exactly what you need to make any special day a memorable one as well. There is truly nothing better than the delivery of a perfect cake on a special occasion. 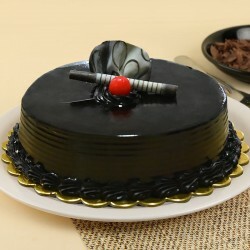 The tradition of gifting cakes in happy moments is one that is deep seated in our history. 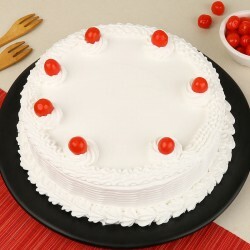 Ever since we can remember, every celebration has always been accompanied by an online cake order. 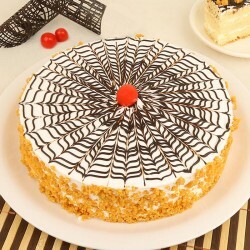 That is why MyFlowerTree brings to you a grand range of some of the most delicious cakes in different shapes, sizes, and flavors. 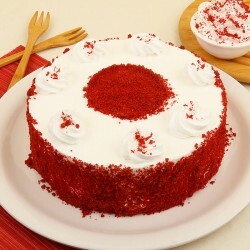 So no matter what your favorite is, with us, you can buy a cake online, according to your tastes. 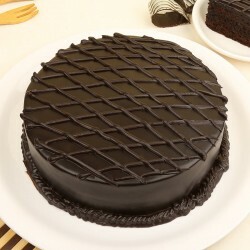 With flavors like vanilla, chocolate, and coffee, among others, and options ranging from designer cakes to photo cakes and themed cakes, the options to buy cakes online are aplenty with MyFlowerTree! We also have an engaging collection of playful designs for children. You can also opt for personalized designs with embossed photographs when you place your cake order online. For every cake delivery that you book online, you can be sure that your selected gift will reach your loved one on time, right at their doorstep. We care about your choices and about your health and that is why you can easily order from our sugar free options to eggless options; there's a cake for everyone. 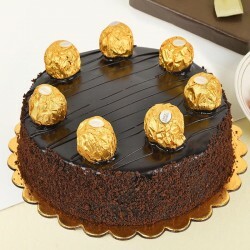 No matter what, there are simply not enough occasions for you to indulge in some deliciously luscious cakes with express cake delivery. 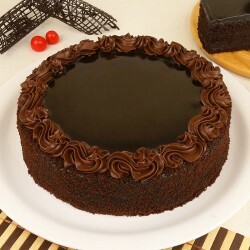 Any moment of joy or of showing support is just another chance to opt for online cake delivery for savoring a moist and fudgy cake. 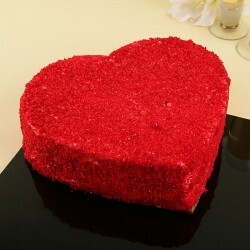 Receiving a cake via home delivery can bring even more happiness and gayety to your day. 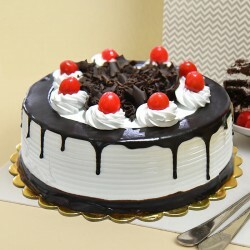 Don't let anything stop you from showing your loved ones that you are always there with them with the smart choice of preferring online delivery of cakes, something that is so much easier than buying it from a store. 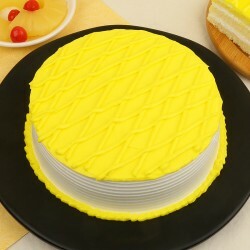 In Delhi and need an online cake delivery in Bangalore? Consider it done. Need a midnight gift delivery or a fixed time delivery for your cake to reach your loved one when you can't be there physically? Well taken care of. 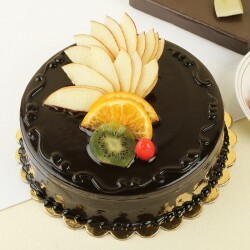 Looking for an online shop that delivers anniversary cake as well as a birthday cake? You're at the right address! From cupcakes, theme cakes, and exotic cakes, to tier cakes, cakes in a jar, and sugar free cake delivery, the choices are many, so you can search and find the ones that you know your near and dear ones will love to indulge in. The ease of online ordersNothing can compare to the sadness of not being able to visit your loved one on their special days, but then again, not much can be done about it with all the business of daily life and responsibilities. When such situations arise and you cannot physically be present with someone, online cake deliveries come to save the day. 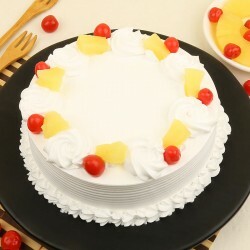 It is truly a boon to be able to order some delicious cakes online to be sent at whatever time you choose, right to the doorstep of your friends or family. With MyFlowerTree, browse through a commendable selection of glamorous and special themed cakes that will leave your taste buds enticed. 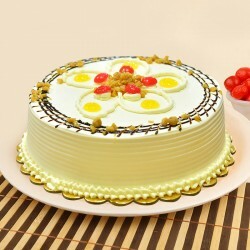 From eggless and sugar free to designer cakes, we have you covered with a multitude of choices. Anniversaries, birthdays, Father's Day, Mother's Day, we'll take care of it all.